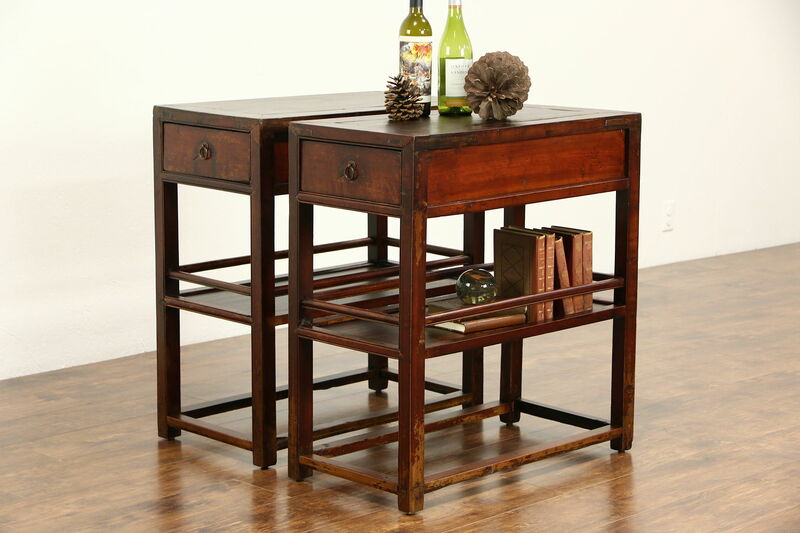 A pair of solid ash hardwood end tables or nightstands was hand crafted in China around 1900. The original well worn deep red lacquer finish is preserved with clear satiny varnish for durability. Hand planing marks are on every surface, wood pegs and mortised joints are authentic. Strong and durable antique furniture, size is 15" wide, 30" deep and 32" tall.